Claiming that she has wanted to die ever since childhood, a 24-year-old Belgian woman thinks that suicide is the only answer. This summer, she is getting help from her psychiatrist. The suicidal Belgian woman is about to receive, in her mind, the ultimate treatment for her psychological condition. No, the psychiatrist isn’t going to help the woman cope with the voices in her head and the traumatic experiences she may be dealing with. No, the psychiatrist isn’t going to help the woman conquer the conflict in her head to help her live a life of purpose. Instead, the psychiatrist is encouraging Laura to end it all. The psychiatrist is giving Laura the option to end her life by euthanasia. This is how insane Western medicine and psychiatry has become. 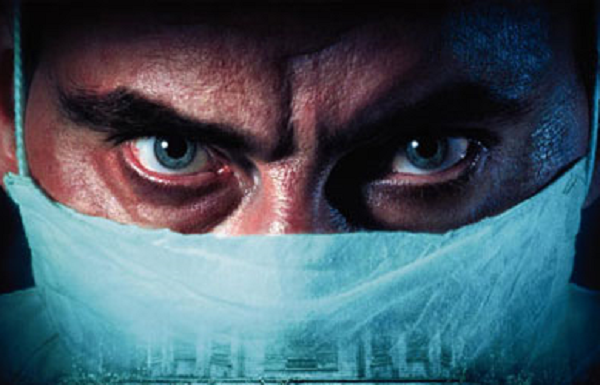 Doctors are now dishonorably viewing euthanasia as a “treatment” for depression and psychiatric conditions. People who feel they were born to take their own life are being accepted for who they are and allowed to commit suicide in a hospital setting. The assisted suicide case of the healthy 24-year-old Belgium woman is told in a book Libera Me by Lieve Thienpont. Thienpont is the psychiatrist who is making a way for the healthy 24-year-old Laura to end her life through euthanasia. Laura, who appears normal, who enjoys theater, coffee and the company of good friends, says she has wanted to die since childhood. “Life, that’s not for me,” she says. Thienpont accepts the woman’s plea to die and is making a way for her to end her precious life this summer. All treatment and care are being thrown away. All hope is lost. Laura’s life will not be preserved. Psychiatrists are agreeing that it is too late, that it’s time to let this woman decide to die. Laura will join a new wave of psychiatric patients who are legally being assisted to kill themselves. She will be given the “treatment” of euthanasia as psychiatrists accept her for who she was born to be. Of course, this is not who Laura was born to be, even though she claims she has wanted to die since childhood. As doctors validate her reasons to die and go along with the voices in her head, they have become the monsters telling her that it’s okay to pull the trigger on life. The case is not unique. A healthy 64-year-old Belgian woman named Godelieva De Troyer was put down through euthanasia because she was living with depression. A 44-year-old woman known as Ann G. was euthanized when psychiatrists declared that her psychological pain could not be overcome. (She was sexually exploited by a previous psychiatrist who was treating her for anorexia.) Deemed a hopeless case with no chance of recovery, psychiatrists agreed with Ann that she should end her life. There are now 50 to 60 cases of euthanasia for psychiatric patients in Belgium each year. In the Netherlands, federal laws permit euthanasia for psychiatric reasons too. Ninety-seven dementia patients were put down this way in 2013, and another 42 were allowed euthanasia for psychiatric reasons. Canada is heading in the same direction. The Canadian Supreme Court ruled on February 6 that patients can assist their own death if they are experiencing physical or psychological pain. All three countries now allow assisted suicide based on personal subjective reasoning. Western medicine has become so separated from mind, body and spiritual wellness that it now resorts to catering to patients’ death wishes. In a way, psychiatrists are now holding the hand of their patient and saying, yes, go ahead and kill yourself. If you feel the pain is too much to overcome, we’ll help you pull the trigger.